For better of worse, healthy food brands are cosy bedfellows with the clever world of package design. We confess it: our belief is that honest packaging can and should be beautiful! “It’s crazy how significant packaging is,” the co-founder of Innocent Smoothies Richard Reed admitted recently in Marketing Mag, as he gave away some of the secrets of his OJ re-launch, after its initial failure. He then went on to confess that packaging is often more important than the product itself. In an ever-expanding maze of healthy brands which product designs best reflect what’s inside? I’ve tried and tested many. 1. 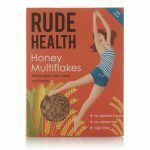 We love the way Rude Health’s rebranding has gone for such a clean, bold look but with a touch of playfulness… those lips. 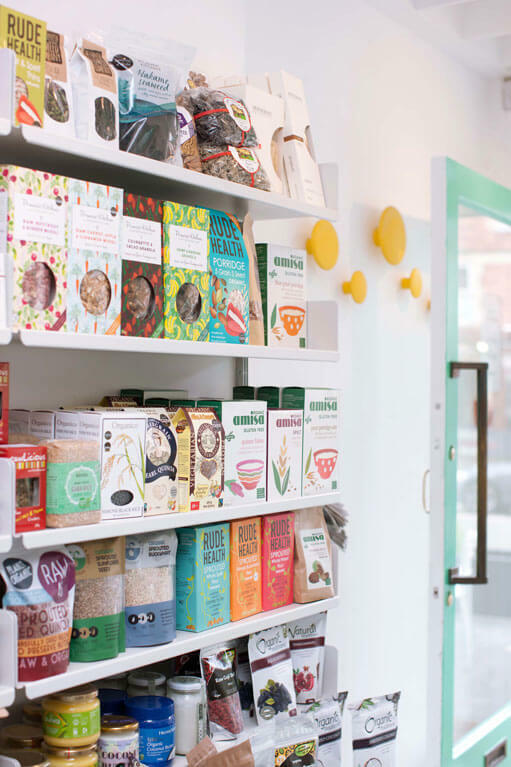 The whole range stands out well on the shelf and clearly reflects their uncompromising approach to their wide range of considered, delicious snacks, drinks and cereals. I especially like the raised, embossed logo on some of their range. A detail that shows care and pride. 2. 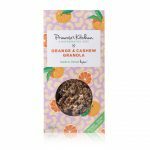 Primrose’s Kitchen’s packaging couldn’t be more creatively opposite … a hand-scribbled logo and a dense floral pattern adorns their delicious paleo mueslis and granolas. You can sort of tell in the branding that the founder is a trained naturopath, and it’s so attractive too. 3. 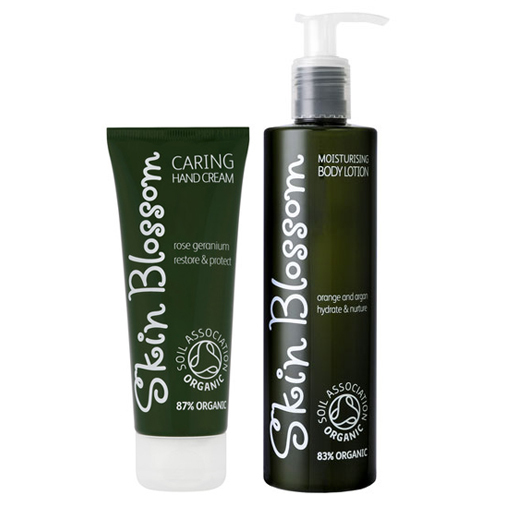 Skin Blossom is our favourite everyday skincare and its gorgeous transparent, label-less packaging is designed to shove its natural, dark green, organic contents right in your face. It screams from the shelves. Bold and honest, you see exactly what you’re getting. 4. 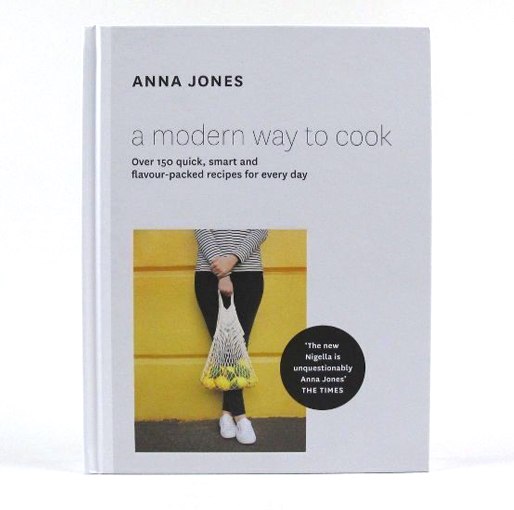 Finally a cookbook, Anna Jones’s A Modern Way to Cook. We love the clean look of Anna’s second book, and in particular how she doesn’t use her face in most of the photography. The healthy cooking fraternity has over-used glowing, smiling faces to sell books. Not doing so now implies more serious content – and guess what, best of all, the recipes really do work.